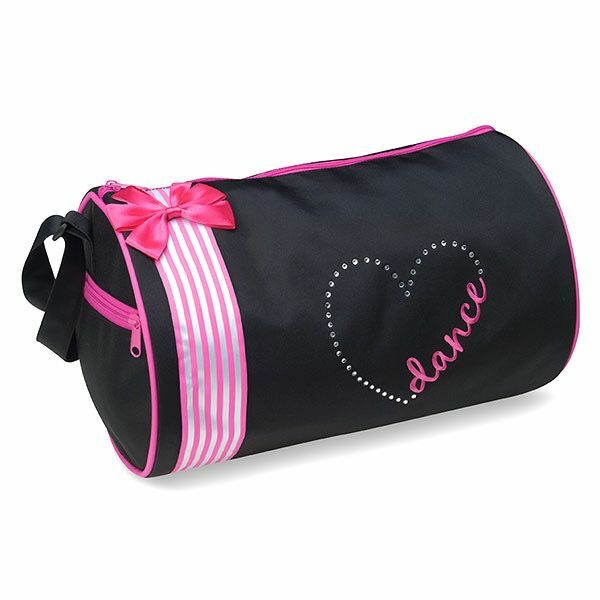 Microfiber bag with glimmering rhinestone heart, pink and white ribbon trim with bow and side zipper pocket. Adjustable shoulder strap. Fully lined.